The total number of farms in the United States declined 3% from 2012 to 2017, according to the U.S. Department of Agriculture’s 2017 Census of Agriculture released Thursday, April 11. Since the 1997 Census of Agriculture, the number of farms in the U.S. has declined 7.8%. The total number of farms on Dec. 31, 2017, was calculated at 2,042,220, which was 67,110 fewer than reported in the 2012 Census of Agriculture. 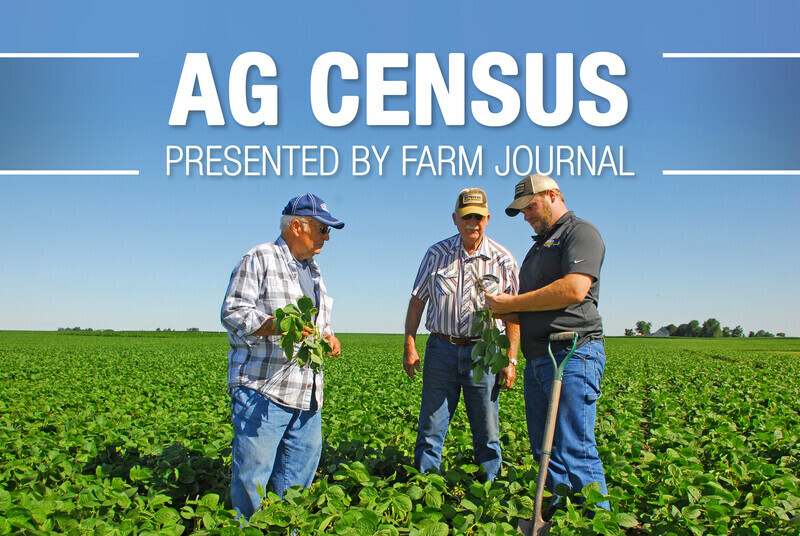 The Census of Agriculture is conducted every five years by USDA’s National Agricultural Statistics Service (NASS) with information directly from farmers and ranchers. Overall, USDA said there continue to be more of the largest and smallest operations and fewer middle-sized farms. The average age of all farmers and ranchers continues to rise. NASS found the average size of farms in 2017 was 441 acres, up slightly from 434 acres in 2012. However, the total number of land in farms in 2017 was down 1.5%, totaling slightly more than 900 million acres. The number of farms with cropland declined 5% from 2012 to 2017, yet the number of acres farmed in crops increased 1.7% to 396.4 million acres. While NASS found the overall number of farmers declined, the declines occurred among mid-sized farms. Both the smallest sized farms (less than 9 acres) and the largest farms (2,000 acres of more), showed increases. Farms with fewer than 9 acres (273,325 farms) increased by 18% since the 2012 census, and farms with more than 2,000 acres (85,127) increased 3.5%. For specific crops, NASS reported a decline of nearly 13% in the number of farms growing corn, an 11% decline in the number of cotton farms, a 25% decline in farms growing sorghum for grain, and a 31% decline in the number of farms raising winter wheat for grain. Among livestock operations, the most significant decline in number of farms was among dairies. 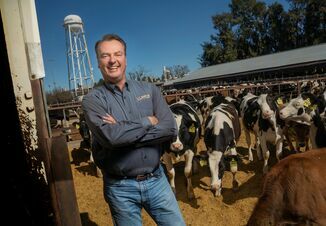 From 2012 to 2017, NASS counted a 15% decline in operations, leaving a total of 54,599 farms with milk cows in the U.S. Contrasting with the decline in dairy farms, both beef cattle and hog farms saw increases in total farms in the 2017 NASS numbers. U.S. farms with hogs and pigs totaled 66,439 in 2017, a 5% increase. 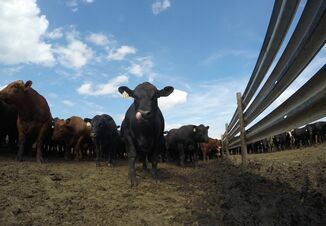 Farms with beef cows totaled 729,046 in 2017, a 3% increase. U.S. farms with laying hens saw a 15% increase to 232,500. Farms with broilers and other type meat chickens sold saw a slight decline to 32,751.